Clean Out the Clutter First - Have a Garage Sale! After moving a lot of boxes marked "basement" from house to house over the last few years, I realized that I have been paying good money to simply move "junk" from house to house. It requires a bigger moving truck, and moving help and lots of time to pile up boxes that we have been dragging around for years. So, this year I decided to organize the basement and try and make some usable space, and realized there was no way around the fact that these boxes simply had to go. It was time to get ruthless and start using my very own 5 second rule that I have used countless times before but never with stored boxes. I put a date on the calendar and figured if I had it written down, I was more likely to actually get started. I also allowed myself 5 days to get it done which means I could break it into manageable jobs. It felt great to get things organized in my basement! 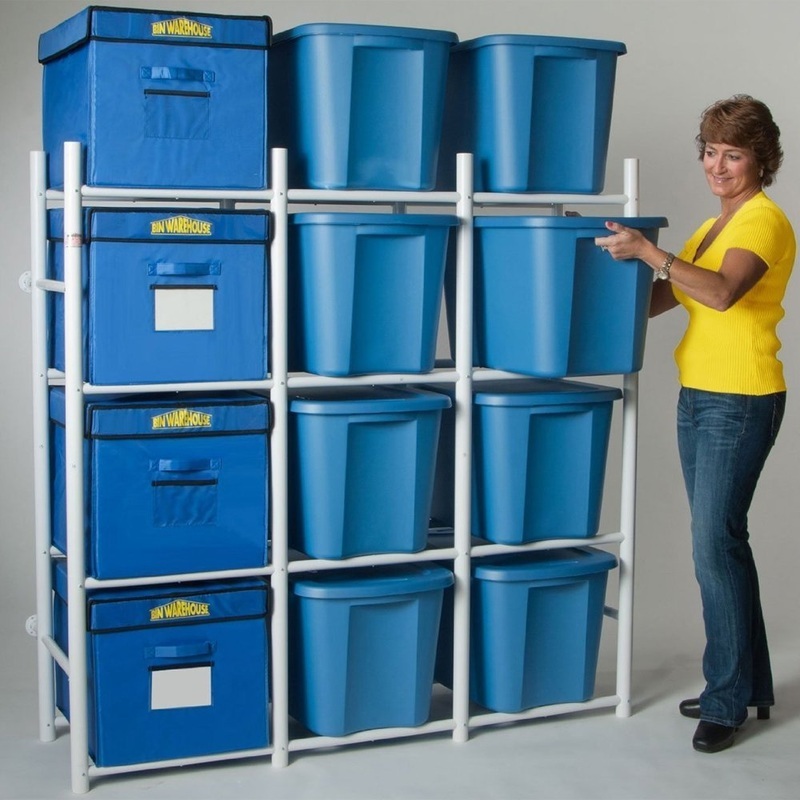 Tote Storage System - Once you get rid of the clutter and see what is left, then organize "like with like" into totes and instead of stacking them on top of each other, get one of these shelving frames that will hold these larger totes. 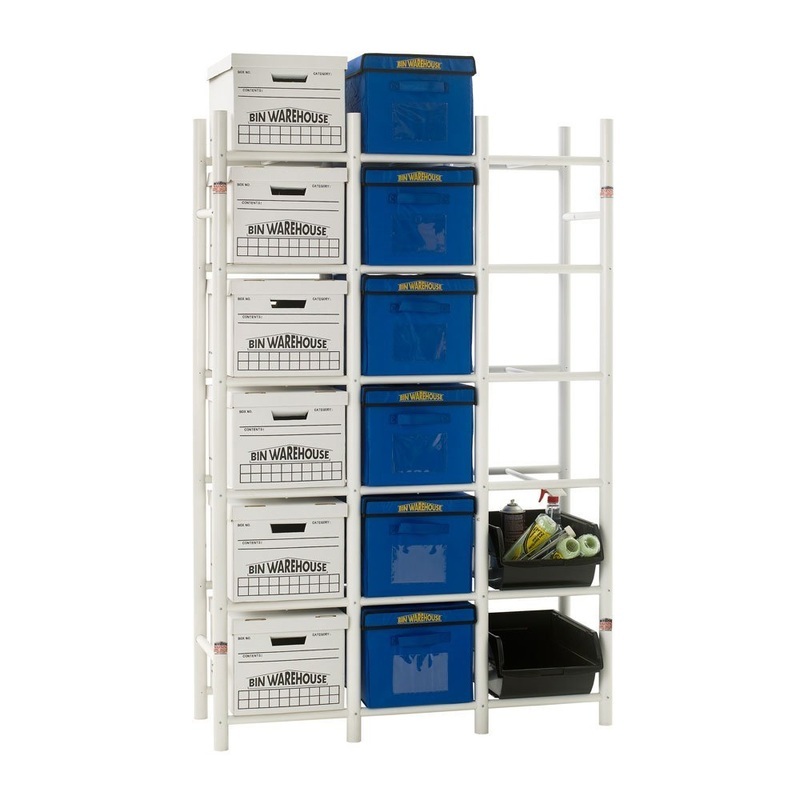 Label them and now they are easy access but also leaves the basement clean and organized. ​You could organize seasonal and holiday decorations this way. Using height rather than floor space is the best trick of all when it comes to utilizing and organizing space in the basement. 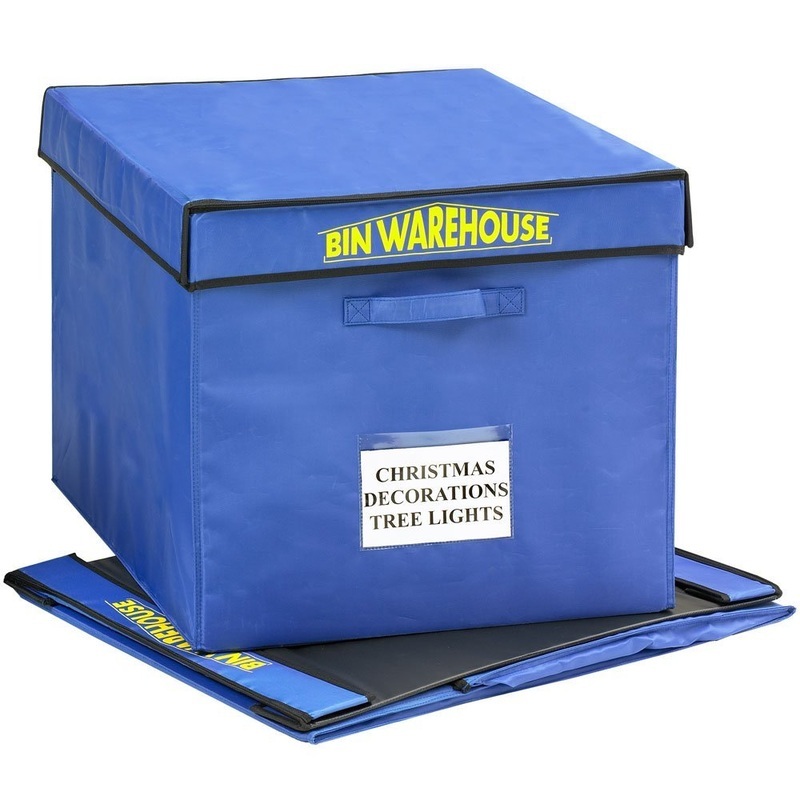 Bin Storage - This unit is heavy duty and will hold up to 1200 pounds of "stuff" It can be secured to the wall for safety (so it doesn't fall forward) and is the perfect solution for organizing basement things and especially seasonal or not so often used items that you want to keep. Also see my page on holiday storage. Fold a Tote - These are a great way to store seasonal things and fold flat when not is use. They can be used in the above units. 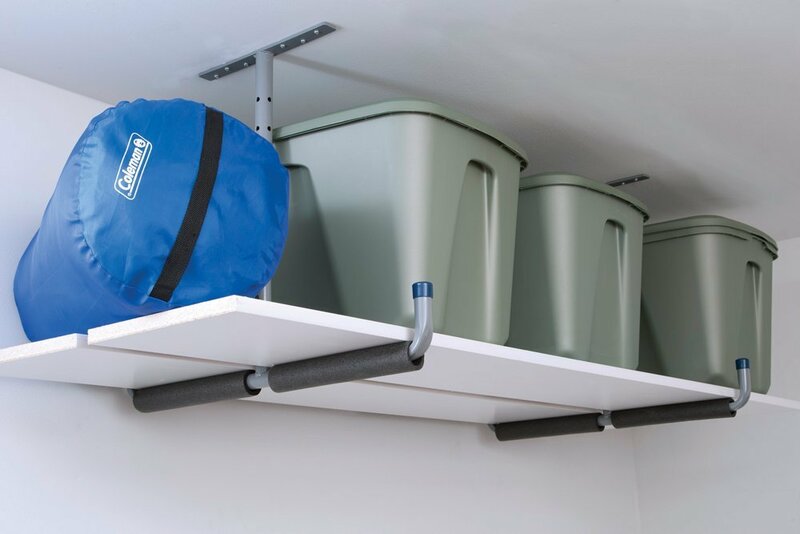 Overhead Storage - Maybe you don't want to store things on the floor in your basement. In which case you can utilize the height and securely install this overhead storage system. These can be used in the garage, basement, even closet. They are ideal for anything you don't want on the floor. Perfect for the basement that may be a bit damp or simply doesn't have enough floor space. These work well in crawl spaces as well. Se my page on crawl space storage for even more ideas if your basement is not regular height. 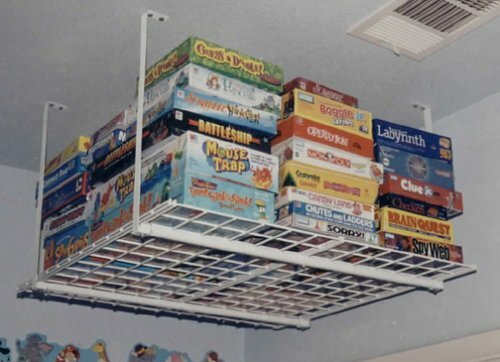 Overhead Storage Hangers - This way you can create your own shelves as you can see in the above picture. But it is also a great way to get things off the floor, especially things you don't use often. 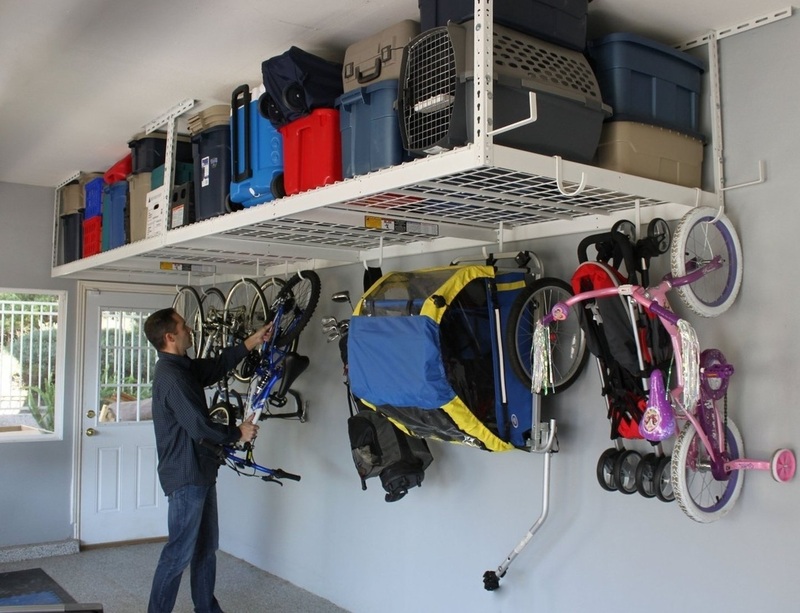 Serious Overhead Storage for Garage or Basement - This system will basically get everything off the floor including bikes. If you don't have a garage then storing bikes in the basement keeps them safe. This system could go along one wall in your basement. Everything would be off the floor and easy access. Sports Equipment Storage - If all your sports equipment ends up in the basement, then investing in a storage rack specifically designed to keep them neat and tidy will save a lot of your basement floor space. 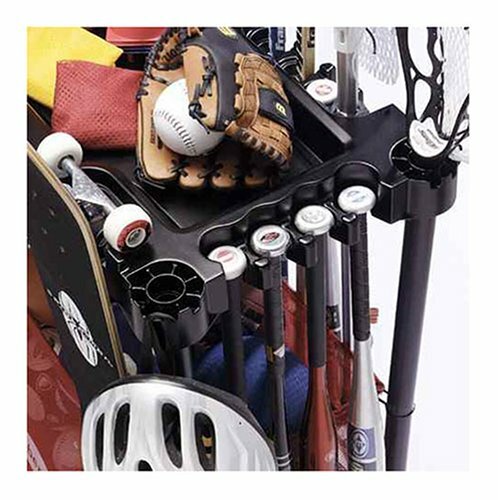 Its great everyone enjoys sports, but the equipment can be a pain to store unless you have a sports rack such as the one pictured. This is a low investment for keeping this mess under control. 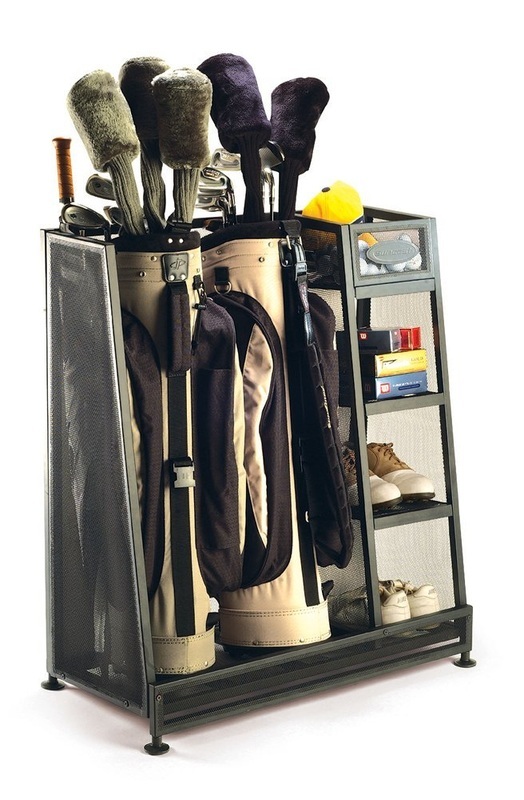 Golf Storage - If you use the basement for all your golfing equipment, then investing in a specific rack alongside the sports equipment rack will definitely keep the clutter down in the basement. Having a place for everything makes it easier to find when you need it. This is perfect for the off season too as is keeps your investment in your golfing equipment clean and safe and off the floor. 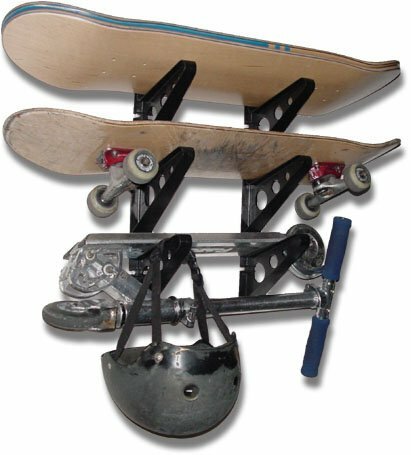 Skateboard Storage - Get it off the floor and keep it safe. This specialized rack will hold your skateboard accessories too. No more cluttering them up on the basement floor especially in off season. If you get the sports racks and the specialized racks such as the golf one above and the skateboard rack for example, most of the pile on the floor should have disappeared! 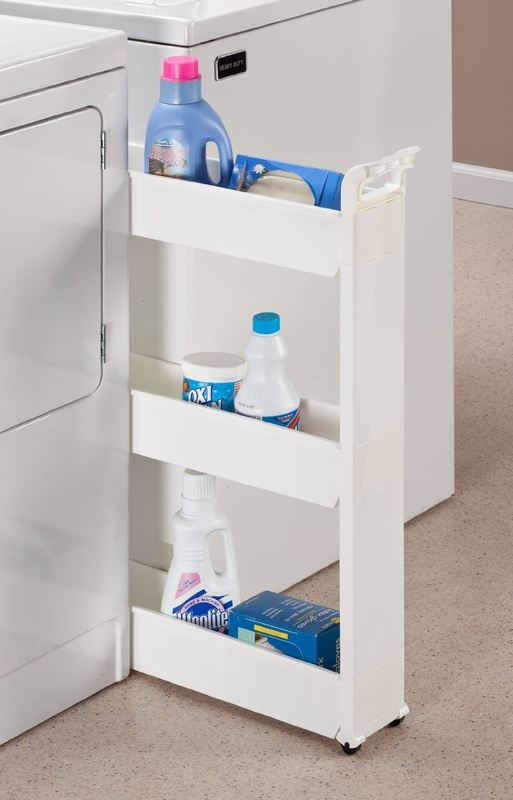 Between Appliances Storage - If you have your laundry in the basement, you can put shelves on the wall, but another great space saving way to store laundry products is in this rolling slim shelf unit that fits between the appliances. I thought this was a wonder idea and keeps the smaller products from disappearing. It is fine and dandy to simply say you are going to do some basement organization and get rid of junk, but you need a plan ahead of time so that you will follow through and not simply pile it in the corner. I cleared out an area and got myself a little chair and then created 3 pile up areas (had lots of garbage bags and recycling bags ready) one for recycling (paper, cardboard, magazines etc) one for garbage (things that are broken and of no use to anyone) one for donation (things that someone else could use) but then created on tiny 4th area for anything I wanted to keep, which hopefully was not much. As I opened the box I would take out an item and give it the 5 second look and then quickly decide on a pile. Try to imagine yourself having to move into an apartment right now, would this item be needed? If it is still useful then put it in the donation pile. Once you are finished, quickly gather the piles into bags and get them into the car right now, or outside for garbage to be picked up or hire a green bagster which you can get online. You simply fill it, phone them up and they take it away and charge you by the weight. If you are complaining that this will cost you money to get rid of all your junk, just think how much it costs you to move these boxes and junky bits of furniture from house to house. 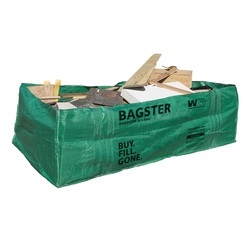 We used the services of the bagster for the larger items. We simply bought the bag online then placed it in our driveway and filled it with renovation materials and junk from the basement and then called the number on the tag and they come and pick it up with a truck. This is why it is best to have it in your driveway it is easier for them. Smaller stuff we used our pickup truck. I finally did this on the weekend, and we have a pickup truck so put the garbage right into the truck and drove it to the dump. Then came back and loaded up the donation bags and took them right away. Then loaded up the old magazine and papers into the recycling bags and put them by the curb. This way my basement is cleaned out, and all I have left is the Christmas things, and seasonal clothes and some suitcases. I was amazed! One box had old craft supplies from project the kids had been working on 15 years ago!!! It felt great to get it all out of the basement. 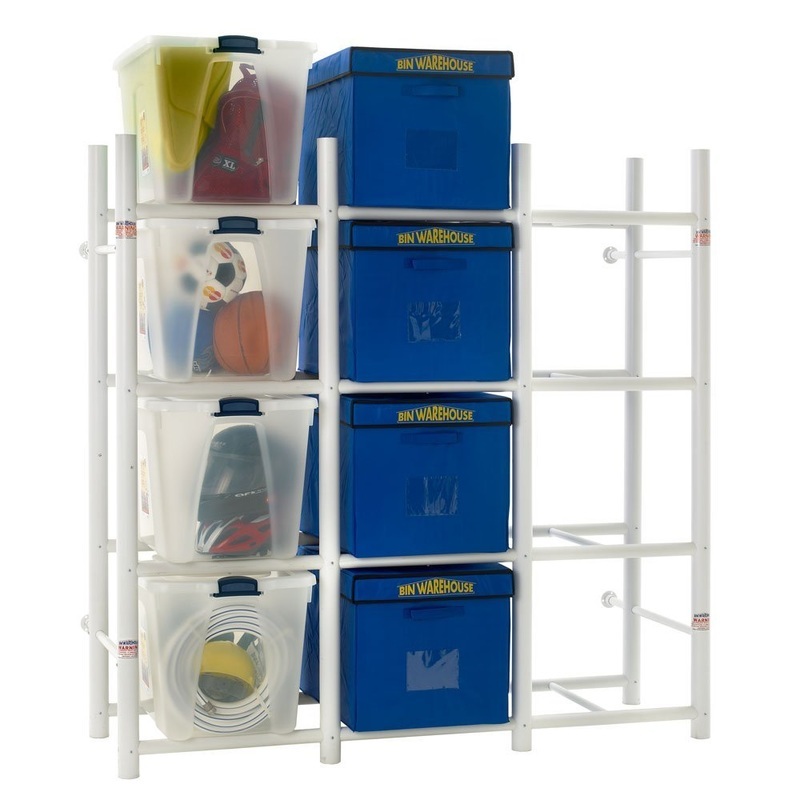 File Box Storage System - This works for files but can also be used for many other items that you want easy access to. They stay off the floor and store a lot of boxes. This is a great way to keep old files or papers you don't want to throw away in the basement. I invested in some good clear plastic tubs and placed my holiday supplies in one and then seasonal clothes in a couple of others. I found a good rack that can store large plastic tubs on it. Now the floor is clear, I will not have to wade through a sea of junk to get to the holiday supplies next year. 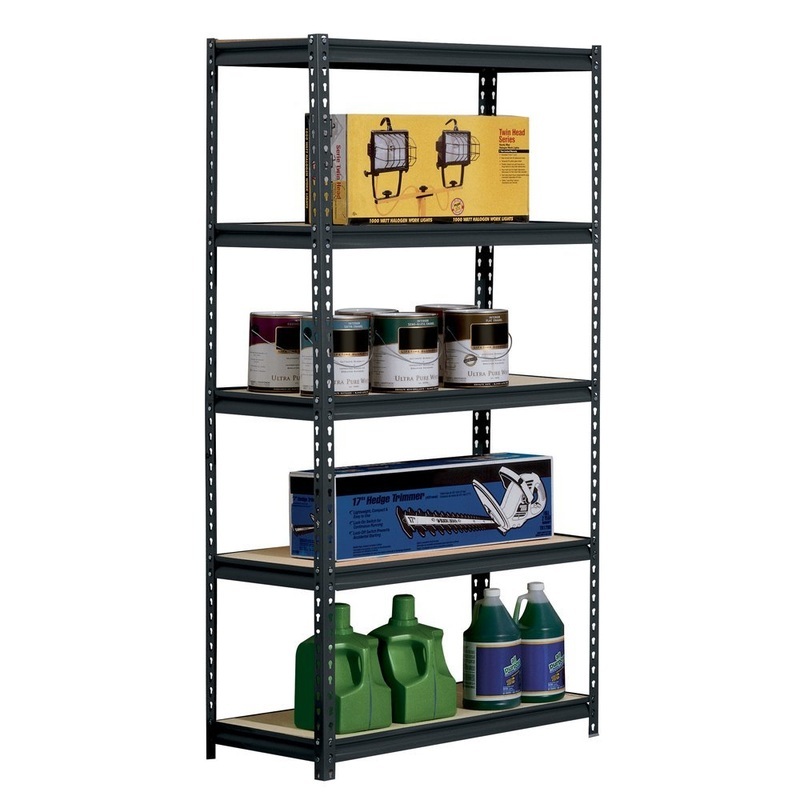 These metal racks can hold a lot but don't try to fill it! 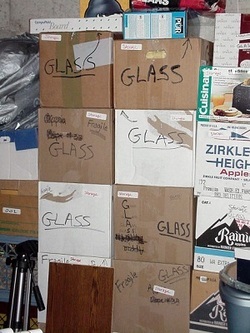 Now you actually don't need to know how to organize a basement, there is nothing that needs to be organized! You now have a clean slate. 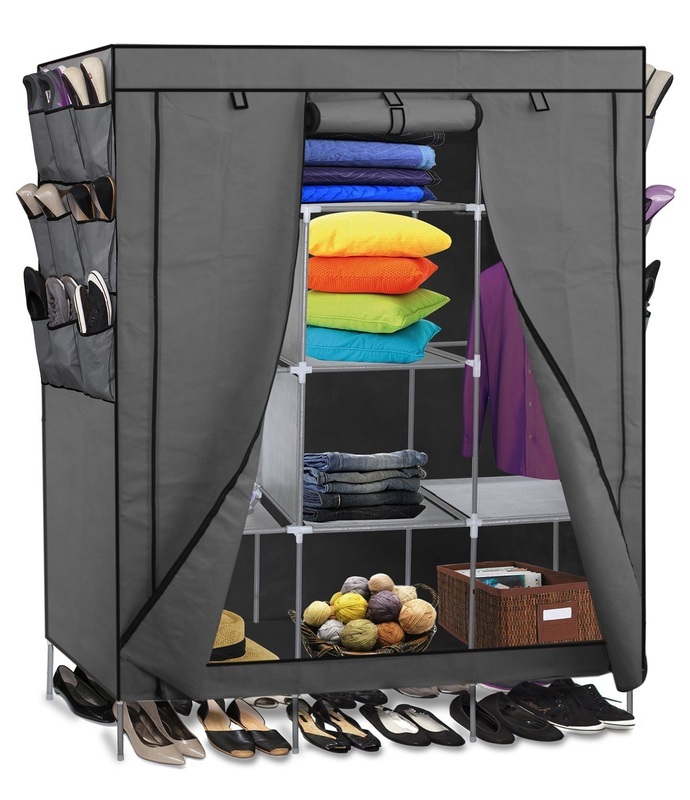 Store Off Season Clothes in Basement - This is a great way to store those off season clothes, shoes or boots. This has a zippered cover so that it doesn't get dusty and will be ready to switch out your clothes for the next season. This will keep your closets clear upstairs too. Use it for sleeping bags or anything that you want covered and off the floor..